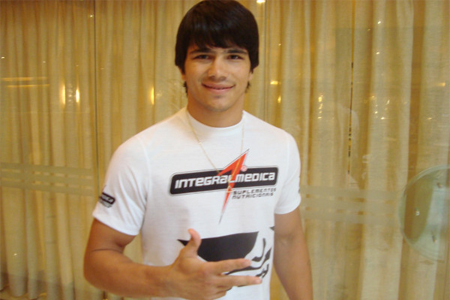 Although Erick Silva (Pictured) left UFC 142 with a highly-controversial disqualification loss to Carlo Prater, it appears the news isn’t all bad for the up-and-coming welterweight. The organization announced Sunday they will reward Silva with his ‘win bonus’ despite leaving the Octagon in defeat. In the opening ticks of their 170-pound affair, Silva managed to fold Prater over with a knee to the midsection before laying the lumber on his dazed opponent. When referee Mario Yamasaki pulled Silva off of Prater, the Brazilian immediately began his victory celebration. Silva’s big league debut took place at UFC 134 this past August. Because that event was also held in Brazil, the organization was not required to report his salary to an athletic commission because there is no governing body in place. Therefore, whatever Silva pocketed in his victory over Luis Ramos is likely the exact same amount he made for Saturday’s performance. However, the digits on his paycheck will not be released to the general public.